Papaya is one of the most delicious types of fruit and it also provides numerous health benefits. It belongs to the genus of Carica and its botanical name is carica papaya. It originates from Mexico but nowadays it grows in numerous countries with tropical climate. The whole tree of papaya can be used for numerous different purposes. 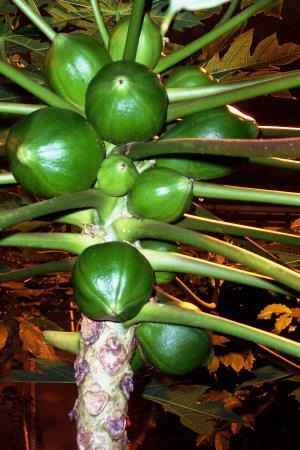 The stem of the papaya tree can be used in the production of ropes. Some parts of the world use papaya leaves in order to make herbal tea. Papaya fruit is the part that is used most extensively for various purposes. Papaya can be eaten in its raw form but only when it is ripe enough. It is very popular because it can be of great help in aiding the process of digestion. Unripe papaya can also be consumed, but it needs to be cooked first. One can also grind the papaya seeds and use them as a substitute for black pepper. The unripe fruit of papaya contains a certain type of latex which can be used for the softening of the meat during the process of cooking. Every pregnant women needs to eat right. That involves a healthy diet and proper nutrition. Many pregnant women have certain doubts about consuming papaya during the pregnancy. There are some people in certain countries such as India, Sri Lanka, Bangladesh and Pakistan who believe that papaya may sometimes induce certain problems during the pregnancy which may lead to abortion or miscarriage. Consumption of papaya during the pregnancy has proven to be a good prenatal care measure in most cases. Pregnant women face indigestion quiet often, and that is why papaya can be of great help for all those who suffer from indigestion during their days of pregnancy. The raw skin of papaya is an exceptional source of vitamin C and vitamin A. It is of great help when it comes to the prevention and treatment of certain medical conditions such as heartburn or inflammatory bowel syndrome. Unripe papaya can be used as a natural method for the induction of labor for the patients who are in their final stages of pregnancy. Papaya may also have certain side effects during the pregnancy. Papaya is beneficial because of its digestion soothing enzyme called papain, but still it is important to always eat papaya when it is ripe enough. Latex from the unripe fruit may act almost exactly like prostaglandin and induce labor. I'm pregnant. Should I take folic acid every day now?